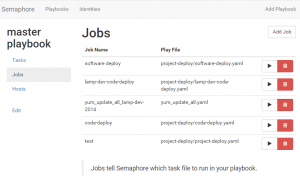 DevOps Automation – Ansible+Semaphore is Indispensable! Note that I already had mysqld running on the server. 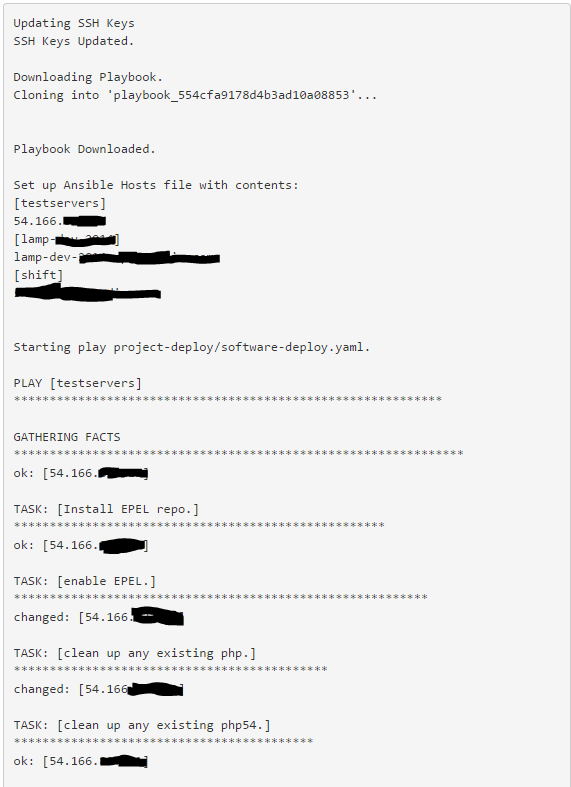 And then you have all of ansible’s cli tools available to issue ad-hoc commands via ansible or run playbooks using ansible-playbook. It gets even better with a GUI. And while I think that the ansible tower GUI is reasonably priced (especially when compared to puppet’s GUI), I found the semaphore project on github to be lean and very useful – it’s not yet well documented, so you do have to deal with some guesswork or hope the developers will answer questions on the github board for the project, but once you get everything configured and understand how it works, it’s great! Then spin it up running node bin/semaphore.js – it will bind to port 80 by default, but you can change that in lib/config.js by changing the exports.port variable. Point a browser at your install and log in! What does semaphore do? So basically it runs playbooks for you. And here’s how: Put your playbooks in a git repository (we use bitbucket) There are only 2 top-level navigation items in semaphore: Playbooks (which point to the git project) and Identities (which are private/public ssh keypairs) You enter keys for the git repository as an identity, then you enter the URL to your repo containing your playbooks and associate it with the right identity. 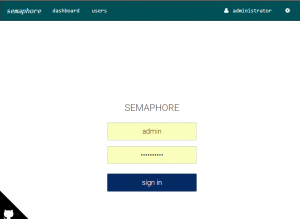 Semaphore does not use ansible’s default hosts file, so you’ll need to enter hosts and host groups directly into semaphore. *Protip2 – semaphore downloads git repos into /root/ as configured in vagrant or docker that works fine, but if you’re working on an install outside of a VM, you need to run semaphore as root. - name: Install EPEL repo. - name: clean up any existing php. - name: clean up any existing php54. - name: clean up any existing php55. - name: clean up any existing php56. - name: Then, install required system packages. - name: Now, install required npm packages. 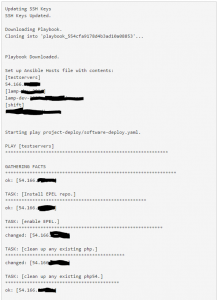 - name: Install apache security configuration file. - name: And, restart httpd services. - name: Almost done - now enable httpd service at boot. - name: Finally, enable mysqld service at boot. thank you very much for your post, without it will be impossible install semaphore. Despite your “precious” post I have some problems. I created a repository on bitbucket, I exchange the SSH keys and I can push every change through my local server that guest SEMAPHORE. 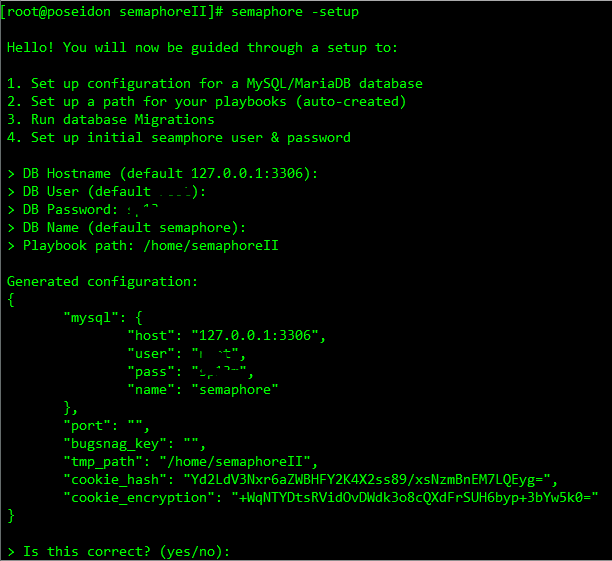 I copied the same keys on semaphore my and I can’t download the playbook through it. runner.js:237 fatal: Could not read from remote repository. Is there any way we can change the directory where semaphore downloads the playbooks and run it .I don’t want /root as the working directory for semaphore. @Sumit /root/ is hardcoded all over the place in the lib/runner.js file. It would be nice if that were a variable that could be set in config.js . I don’t habe a vendor directory within my semaphore root. Could you give a little more detail? I’m using debian 8 for my tests and would love to know how you got this working. It would be nice if you could make a playbook fot centos too. It would be nice if you could make an install playbook fot centos too. Thank you for your explanation about how Semaphore works. What I don’t understand yet is how Ansible can connect from another EC2 and run root commands, like apt or Yum, if you only have the ec2-user to connect before change the sshd_config. Yes, that’s the way it knows to sudo for installs! How would you get this flying on a Debian7 server. Also some more details how you installed it would be appreciated. That’s been deprecated in the refactoring of code for the current release. Now the install process asks you to provide a uname / passwd interactively. 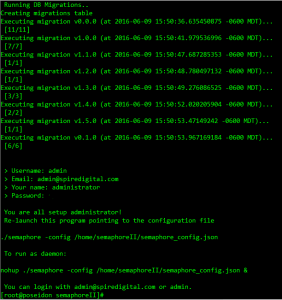 And last but not least I am still struggling to fid where to set which ansible,conf file semaphore uses. This is a key part here as I have some extra configs like ssh timeout that need to be present else the execution fails cause of ssh timeout ( I have some more settings but not worth explaining them here and now ).